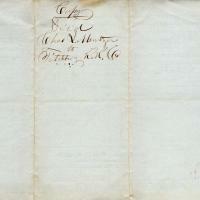 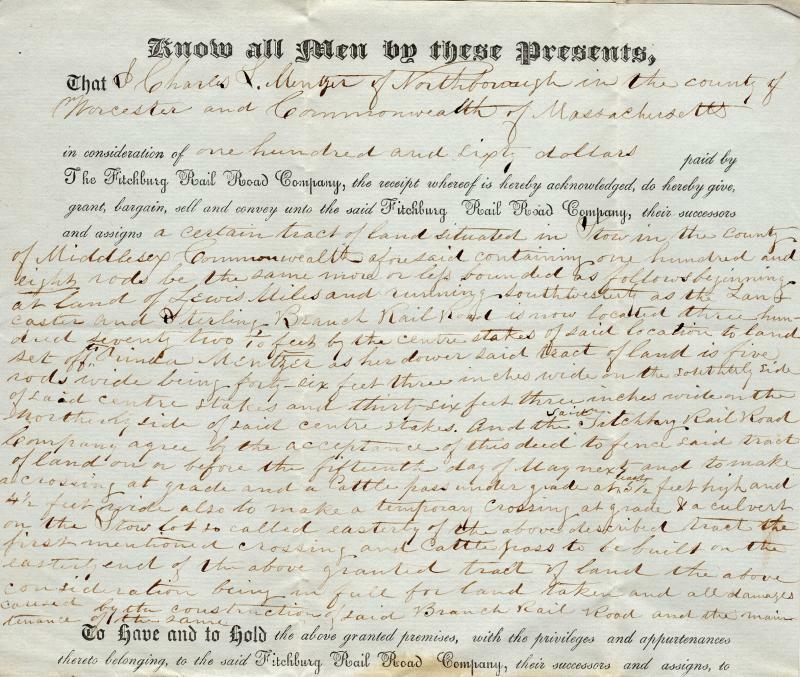 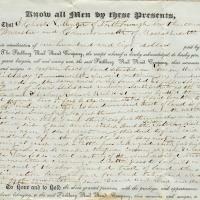 An original copy of a Deed for property sold to the Fitchburg Rail Road Co. issued January 10, 1850. 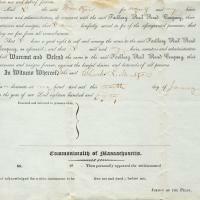 The land was sold for $160.00 by Charles L. Mentzer, Stow, MA. 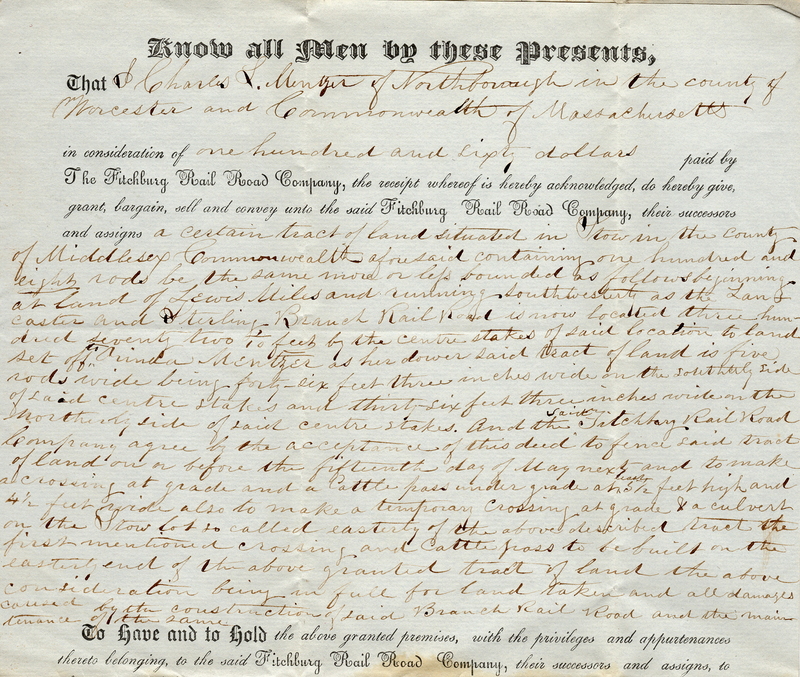 The land purchased was to benefit the Lancaster & Sterling Branch of the Fitchburg Rail Road. 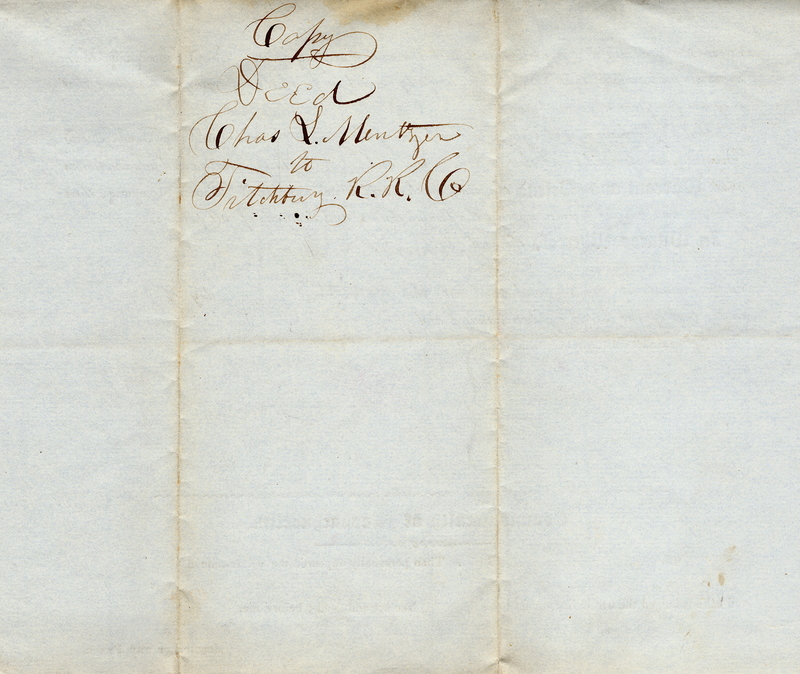 Paper, 8 x 14 in. 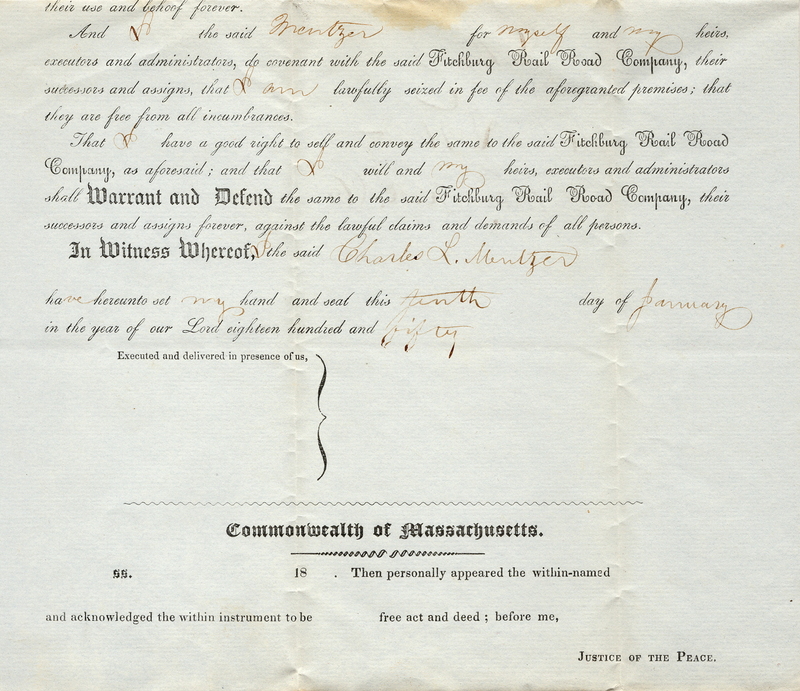 “Deed Issued to Fitchburg Rail Road Co. - 1850,” Maynard Historical Society Archives, accessed April 24, 2019, http://collection.maynardhistory.org/items/show/6599.